With more and more states legalizing the use of medical marijuana, people are beginning to discover the innate differences in the unique strains of the plant. Different cannabis strains produce different results, meaning that while one strain is great for glaucoma, another type of medical cannabis may work better for nausea. Here is a list of the five best cannabis strains in 2015 and what you can expect from each one. The reasons why people turn to these strains over all of the others quickly become evident. Euphoria weed seeds are widely available these days; it is a favorite among those who prefer the strains of cannabis that do not cause extreme drowsiness. It has a fruity and sweet scent, making for a pleasant smoke. It contains 80% indica and only 20% sativa, so it produces more euphoria than sleepiness in users. It is well-known for providing ample pain relief and some respite from anxiousness, and it is also perfect for growing indoors (as are most indica plants) since it only reaches 100cm in height. Each plant produces a yield of between 400 and 450 grams. What’s more, the CBD (cannabidiol – the active ingredient in marijuana) levels in this particular strain top out at 7% and anything over 4% is considered high. For those who are new to medical marijuana, it is often best to use this product in very small amounts at first. Euphoria weed seeds are widely available these days; it is a favorite among those who prefer the strains of cannabis that do not cause extreme drowsiness. It has a fruity and sweet scent, making for a pleasant smoke. It contains 80% indica and only 20% sativa, so it produces more euphoria than sleepiness in users. It is well-known for providing ample pain relief and some respite from anxiousness, and it is also perfect for growing indoors (as are most indica plants) since it only reaches 100cm in height. Each plant produces a yield of between 400 and 450 grams. What’s more, the CBD (cannabidiol – the active ingredient in marijuana) levels in this particular strain top out at 7% and anything over 4% is considered high. For those who are new to medical marijuana, it is often best to use this product in very small amounts at first. 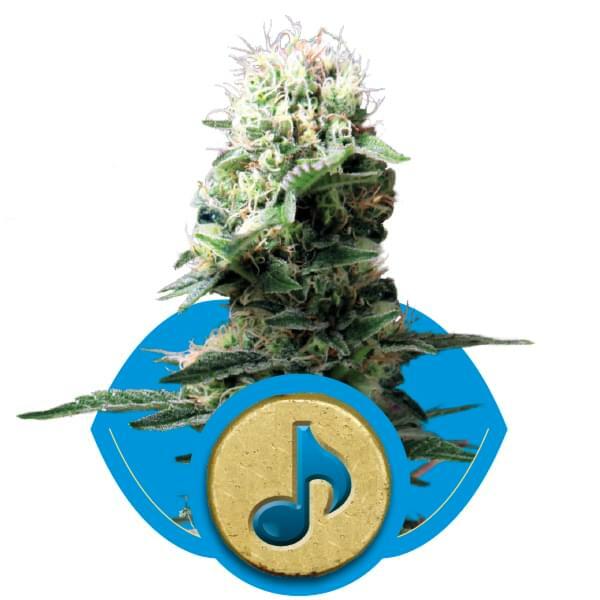 Dance World might seem like a strange thing to call a plant variety, but these are some of the best cannabis seeds for those who prefer an uplifting feel. It is a hybrid strain and it has been specially designed to produce some of the most sought-after results in the industry. It grows like an indica plant, reaching a maximum height of 90cm on average, but the effects are not like indica. The high amount of CBD in this plant allows it to provide a motivational high – hence its name. Another benefit to this particular plant is that it is perfect for those who want to be a bit more discreet when it comes to growing cannabis seeds. It is not as fragrant during growth or drying as many of its counterparts. When smoked, it produces an aroma that is spicy and fruity. 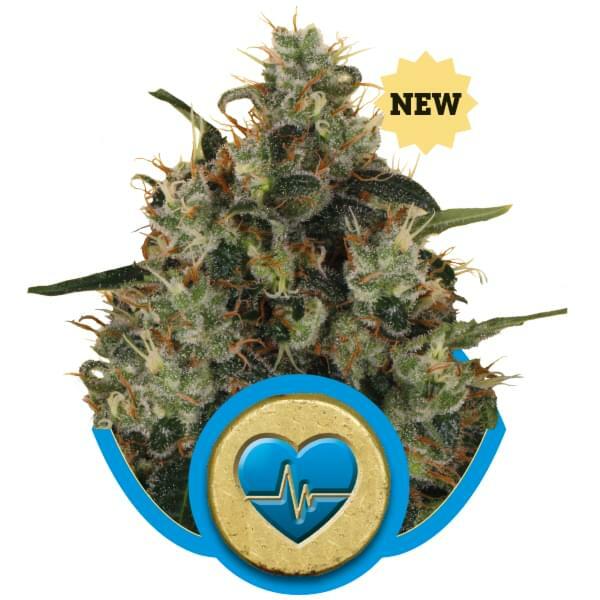 Royal Medic is a great addition to any seed bank because it is a hybrid of one of the strains with the highest yield, Critical, and a strain known for its amazing medical purposes, Juanita la Lagrimosa. There is a high level of CBD, but it is not of the psychoactive sort that makes some medicinal cannabis users feel uneasy. The high produced by this variety is very clear and cerebral in nature, and it provides an outstanding reduction of inflammation, pain and anxiety in its users. The plant is quite large and grows to more than 100cm (sometimes 150cm) even indoors, but this also means that the yield is high at between 475 and 525 grams per plant, on average. This is another great addition to any cannabis seeds bank because it truly lives up to its name. Painkiller XL has one of the highest THC and CBD concentrations available at 9% each. With a blend of 25% indica and 75% sativa, this is an impressive accomplishment. 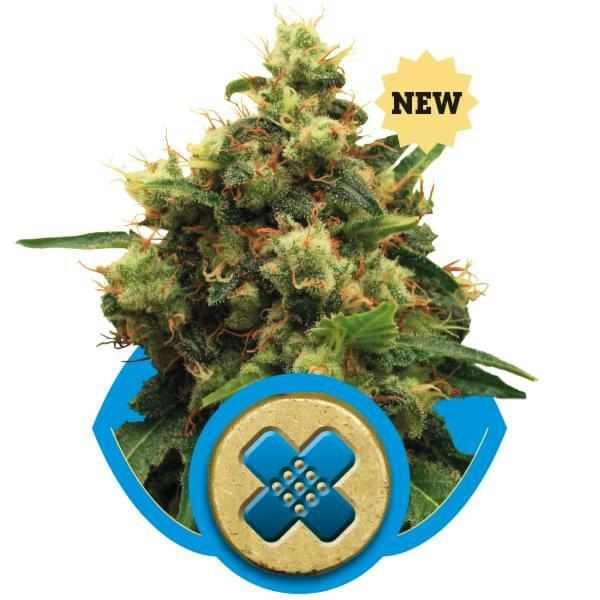 Of course, there are some other strains out there that have high THC and CBD concentrations, but the balance achieved in Painkiller XL is something that must be experienced to be believed. Those who prefer it say that it offers them considerable relief from many different kinds of pain as well as a slight mental euphoria that is relaxing. The flowering time for this particular type of medical cannabis is only eight weeks, an each 80cm plant will produce between 500 to 550 grams of dried product. 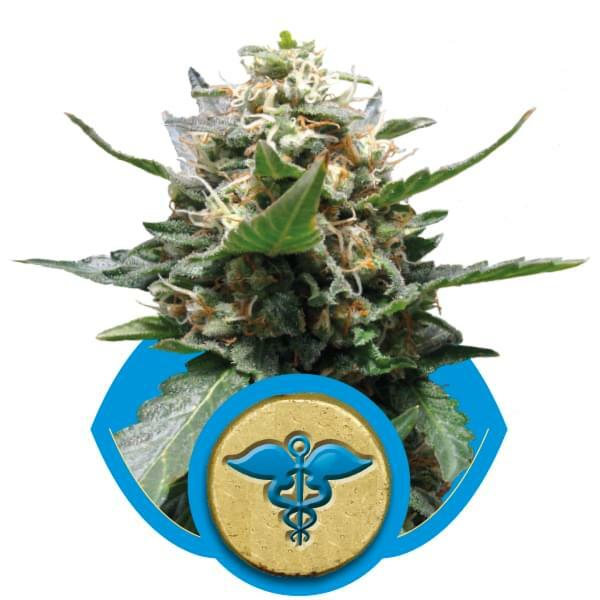 Medical mass is a cannabis strain that is derived predominantly from indica parents, making it one of the best out there for providing relief from pain and even nausea without a lot of psychological effects. 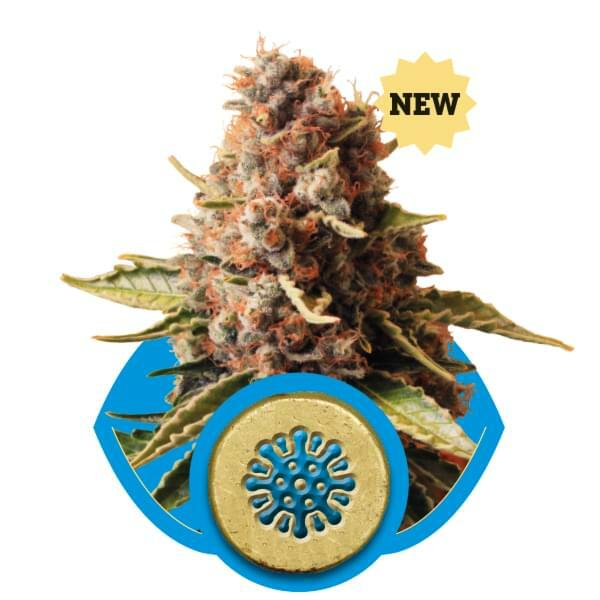 It has a very sweet but mild honey-like taste due to its low THC levels, and it is one of the first plants that is recommended to folks who want to buy cannabis seeds for the first time. It has one of the shortest flowering times available at between seven and eight weeks, and each meter-high plant yields between 500 to 550 grams of dried product. It is a great place for new users to start since it can be beneficial regardless of when it is harvested, though the CBD to THC ratio levels out later in the harvesting season. For this reason, those who want the best pain relief and healing properties should wait until mid to late November to harvest. If you are looking to buy cannabis seeds for the first time, bear in mind that different strains have been developed to provide results based on the results you are looking to achieve. Some are better suited for pain relief, some are known for anti-anxiety, and still others have been genetically designed to provide relief from debilitating nausea. These are the five most popular strains today as each one has proven its worth time and time again among those who have discovered the true healing powers of the best cannabis strains.